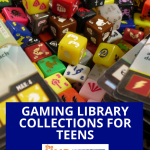 Becky: A lot of research has been done on the connections between video/online gaming and literacy (i.e., if you can’t read, you can’t play; gaming is a form of storytelling; gaming is valuable as collaborative problem solving). In your experience, are these connections valid? Glen: The first statement is false. If you can’t read, you still can play–some online games like checkers require no knowledge of reading, just knowledge of the rules; other games present the storyline through scenes cut like movies, requiring no reading to understand what’s going on. You don’t even have to read the instruction booklet that comes with the game, since most have a built-in tutorial. Gaming is valuable as collaborative problem solving. You have a game platform like Second Life that companies use for collaboration and to do research in, when meeting in person or trying it in real life would be impractical. Also, gaming is a good way to learn teamwork and collaborative problem solving; try playing a first person shooter on multiplayer. Teamwork and collaboration are not only learned but necessary to win. B: Would someone raised more on gaming than books have the same kind of reading skills? What about critical thinking skills? G: Playing a lot of games and being good at reading are not mutually exclusive categories. If they played education games intended to teach reading skills then they would probably have the same if not better reading skills. On the other hand, playing first person shooters would not add to one’s reading skills as much. However, there is still some reading skill gained in reading guides/instructions made for the game. Games do help build critical thinking skills. In a game you actively try out things to move through the level and win–things that also affect the storyline down the road. When you replay a game or level, you try taking a different path to do something quicker, to score more points, or unlock something new, all of which requires critical thinking and questioning your assumptions that this is the best way to do something. Reading a book is more passive. If you’re reading a book, you are taking its word as is; you don’t question it (with the exception of political topics). B: A lot of librarians worry that the teens of today and the future are not going to see the public library as an important place, especially as more and more resources become digital. Do you think there is a future for the kind of library that you grew up with? G: There will still be a library building, but instead of being a place that houses books/media that you can check out, it would be mostly a meeting room/event place/hang out spot. Books and DVDs would instead be moved online, where you could check them out anywhere. The Library would become a service like Netflix. You don’t go to the Netflix store to check out something; it comes to you instead. Librarian jobs would change from book finders to Kindle 7 or iPad 10 troubleshooters. B: What would the ideal library of the future look like in order to attract young people? What kind of free resources and education would it offer? G: The library would have to expand its entertainment collection to include more games. If games like Modern Warfare 3 were available to be checked out, library popularity would increase a lot. B: What type of books do you read for pleasure/entertainment? What’s the best one you’ve read recently and why? G: Science fiction and funny/parody books. 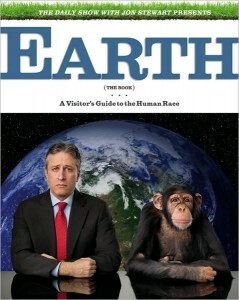 The last good one I read was Earth (The Book): A Visitor’s Guide to the Human Race by Jon Stewart. I’m also a big fan of The Onion parody newspaper. B: What type of books do you read for self-education? What’s the best one you’ve read recently and why? G: Textbooks at school (really don’t have a choice on that). The best education series I have read would be the For Dummies books. If I pass one in the library, I take it off the shelf just to read the comic they have at the beginning of each section. B: If you wrote a book, what would it be about? G: It would either be something very serious, like a textbook/how to guide for math, science, or computer programming; or a joke book. G: During the summer, whatever book is placed on those plastic display mounts in the New Book section I’ll take down and read a few random pages to decide if I want to read it. However, during the school year most of what I read next is suggested, and assigned for a grade, by teachers. B: What do you think is the â€œnext big thingâ€ in the computing or technology world? Do you have any predictions for the kind of thing that will change the way the average user communicates, thinks, or buys? G: I think the next big thing is interactive eBooks. For example, cookbooks that not only have recipes, but video instruction that you can follow along. Textbooks that not only have the final answer listed in the back, but a video outlining step-by-step how to get it. Spot on with the libraries of the future Glen. I think we will be converting to more community centered activities with the building its self or moving to smaller buildings and taking the library to the community through partnerships with schools and city/county/public organizations. I think we’re in for changes that make the disappearance of the physical card catalog look like nothing. Very good observations!